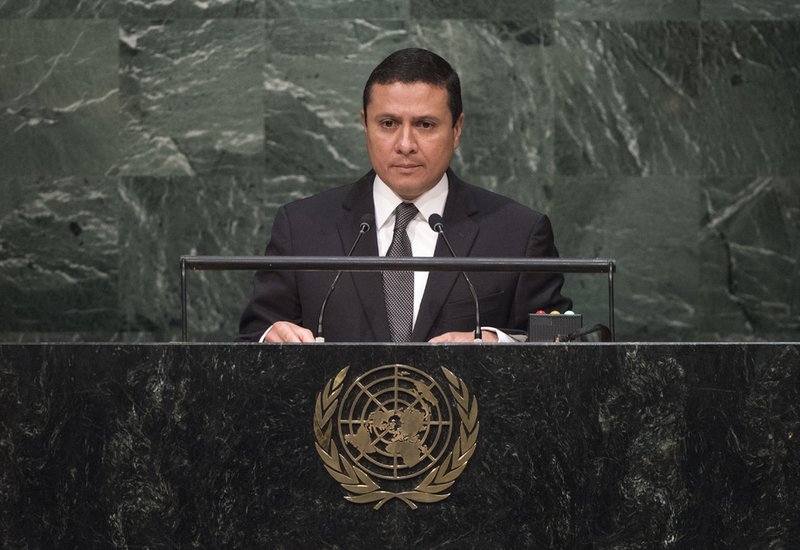 CARLOS RAÚL MORALES, Minister for Foreign Affairs of Guatemala, pointed to the “plurality and massive nature” of the citizen movement that had taken place in his country earlier in 2015. “There was not one single act of violence,” he said, recalling the 22 weeks of protests that had led to the resignation of the country’s Vice-President and eventually the President and other affluent public and business officials. That action was followed by the appointment of a new President in September. Many serious challenges had arisen during that transition, however, there was no change to the constitutional order and the system of justice had worked, the media and social media worked, and participatory democracy had shown its strength. All of that was spearheaded by citizen participation, the highest since Guatemala’s return to democracy some 13 years ago. Guatemala must now lead its future and build a system based simply on rule of law. The “invisible Guatemala made up of indigenous and peasant people” had taken to the streets and called for a thorough overhaul and for the development of national solidarity. “We must also avoid the exodus of citizens that look for a better life abroad,” he continued, touching on the region’s migration challenge. Currently, some 2 million Guatemalans lived abroad, mostly in the United States. That “phenomenon has gone on for too long” and had gotten worse, with boys and girls now risking their lives. The country must do its best to ensure that those children stayed home where they had an opportunity for a better life. The goal was to “reach the deepest roots of migration” and ensure security, economic opportunity and protection systems for Guatemala’s most vulnerable. While the comprehensive migration reform in the United States was “a matter of respect for the principles of humanity and human rights”, addressing the issue was a shared responsibility of countries of origin and transit States. Natural disasters drove migration, too, with recent drought and landslides, for example, affecting the food security of more than 120,000 families in Guatemala leaving more than 600,000 people food “insecure”. On foreign policy, he welcomed progress on resolving a land and maritime dispute with Belize, economic partnership with Mexico and the establishment, with Honduras, of the region’s first customs union.